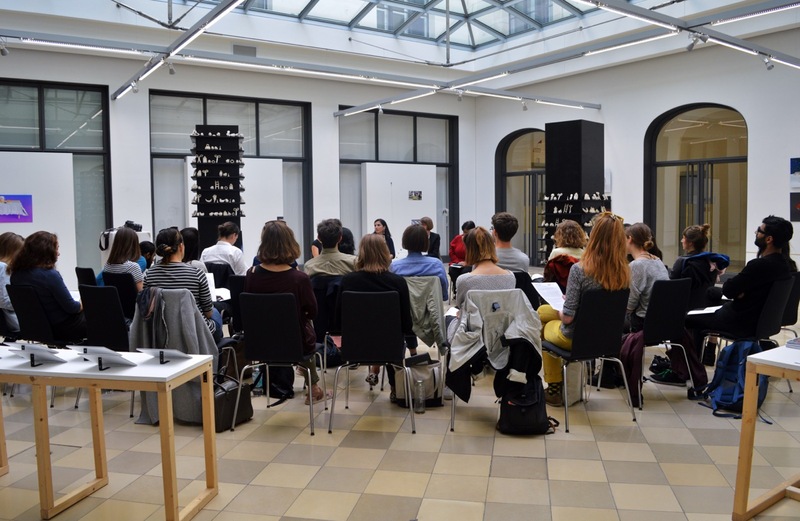 Rebecca John, curator of the exhibition “Common Ground #3 – Where the Circles Intersect”, invited me to participate in a discussion on the contemporary notion of a so-called „Global Art History “, which took place on July 4th 2017 at Kleine Humboldt Galerie, Humboldt University Berlin. To speak about the relation of globality, globalization and visual art in Berlin was a true pleasure as it was located at my own home ground: at Humboldt University, where I am currently writing my PhD on the translocal transformation of the contemporary art world in India; and in Berlin, the place where I have organized and realized various exhibitions that touched upon re-thinking the translation and transformation of the cultural context of artworks. The aim of the discussion was to give answers to questions like “How can the transcultural perspective question the canon and enrich the discipline of art history?”, “Can art be described from a global perspective, without re-establishing borders?”, or “What happens if art travels the world and gets presented in new localities?”. Those were the questions that arose during the process of curating and presenting “Common Ground#3 – Where the Circles Intersect”, a traveling exhibition of six artists from India who are interested in depicting notions of “home”. The other participants on the podium were Prof. Dr. Eva Ehninger (Humboldt University, Berlin) and Prof. Dr. Monica Juneja (Cluster of Excellence Asia and Europe in a Global Context, University of Heidelberg), and to get the discussion going, we started by presenting our individual entry points to critically rethinking and reflecting on Global Art History. After that, an audience of students, artists and art professionals took our thoughts further by raising relevant, highly political and very reflective questions and comments on how artifacts, artists and ideas move (and don’t move!) or get disseminated and staged in the world of art. My viewpoint on how to approach visual arts in relation to globalization has evolved predominately from my experience in exhibition making and curating. Artworks are made by human beings who express, react and reflect upon their cultural, social or political surrounding – often with the attempt to enter in a dialogue with the viewer. Hence, the realities that surround an artist are communicated through and with the work he or she produces and often ask for space or even translation when being positioned in a differing context. I realized that as a curator, you can decide how to react to the context of an artwork in either presenting or neglecting it. Speaking for myself, I belong to the context-sensitive curators and always tried to mediate the context of an artwork and to provide various access points toward an understanding of an artwork: via the aesthetics, via the content or via the context. After almost 10 years of practice, I must admit that it hasn’t become easier but in fact more complicated. With this single sentence Mosquera pinpoints what I consider as highly necessary when critically engaging with the notion of a Global Art History: the need to transform ignorance into accessible knowledge. A Global Art History should not only focus on the relations that occur in a global art world, but also on the local, the transcultural and what both terms denote at specific events in the art world. We can certainly detect an increasing density or an interconnectedness of social interactions within a global art world. And we need to investigate such relations. But we should refrain from overemphasizing new integration, participation, a commonly shared consciousness about being connected. Because we cannot speak of a global art world yet. Asia and Africa are blatantly excluded from the centers of the so called global art world that is clearly dominated by Western Europe and North America. To diminish the ignorance that Gerardo Mosquera mentions, Global Art Historians should also engage with those who have been excluded so far. Here, a new research perspective seems necessary, a perspective that resembles the research objective and methods of Global Anthropology and Area studies. Both disciplines provide local and regional expertise on global events and phenomena and with such perspective, another dimension of globalization becomes obvious: that of the production, notion and negotiation of translocality. Since the so called “local” and “global” are entangled dimensions, the dynamics of local or regional processes bear – if not even produce – a global dimension. So what better way is there to understand contemporary art worlds from this perspective? One such access point could be the investigation of art biennials or art fairs in the global South – a perspective that I am currently researching in my Ph.D. project “Art, Market and the Media: Contemporary Art (Worlds) in India Since Economic Liberalization”. Both art events are interfaces that construct (new) meaning at locations where the so called global flows of the art world intersect. How do artists, gallerists, critics or collectors make sense of their new cultural contexts? How do they interact with their new global reality? 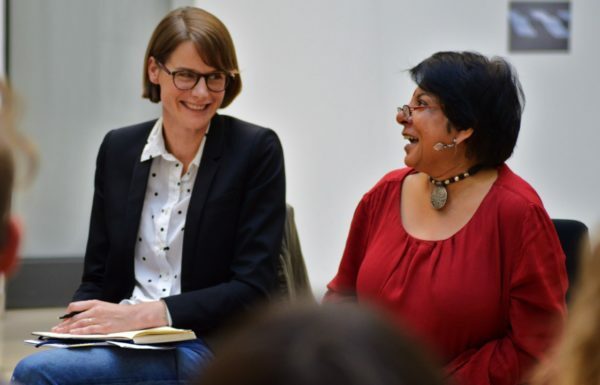 Jamila Adeli is an art historian and freelance curator based in Berlin, with a focus on India, and the Near and Middle East. She studied Art History, Film Studies and English Philology, specializing in the cultural contact zones of European and Non-European art. Her M.A. thesis engaged in the notion of the spatial turn and its applicability within the discipline of Film Studies. Her curatorial practice includes the 2011 retrospective The Last Harvest. 98 Paintings of Rabindranath Tagore at the Museum of Asian Art, State Museums of Berlin in collaboration with the Indian Ministry of Culture, National Museum of Modern Art, New Delhi, Kala Bhavana Museum Shantiniketan and the Rebecca Horn retrospective Passage Through Light at National Gallery of Modern Art, New Delhi in 2012 in collaboration with ifa, Institute for Cultural Relations, Germany. 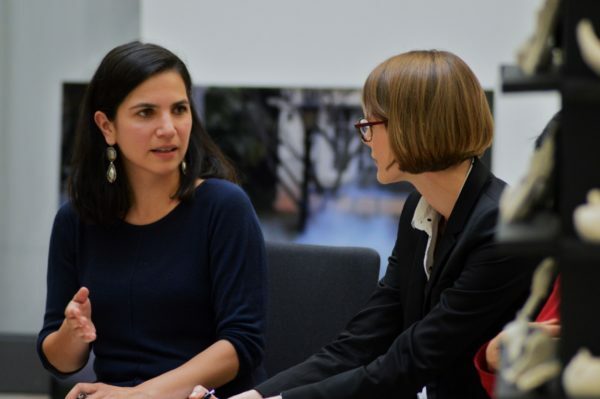 Jamila Adeli is currently writing her doctoral thesis on Art, Market and the Media: Contemporary Indian Art (Worlds) Since Economic Liberalization at Humboldt University Berlin.